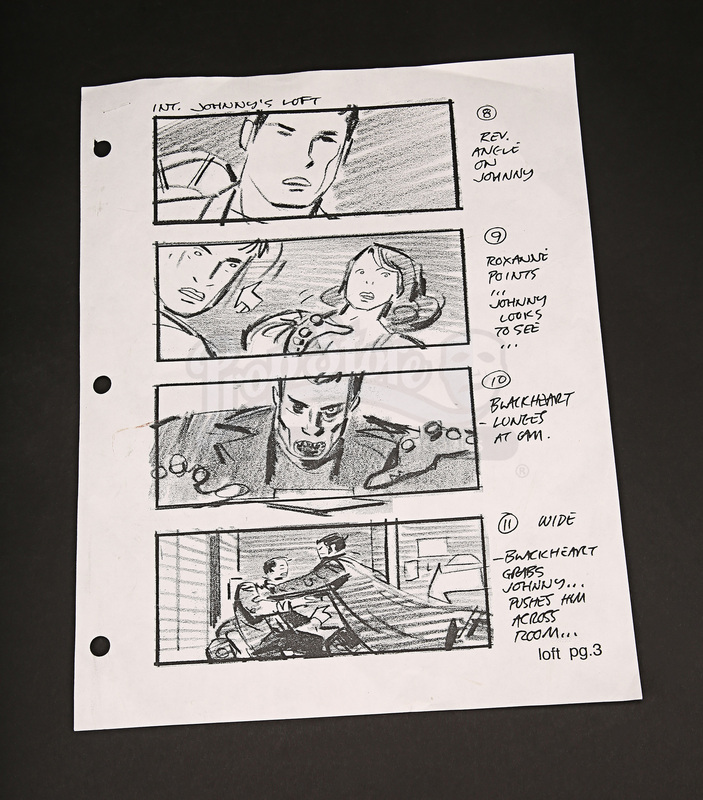 A storyboard from the production of Mark Steven Johnson’s 2007 superhero film Ghost Rider. 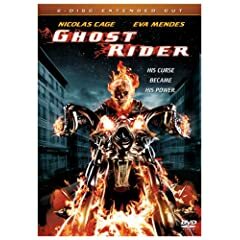 Johnny Blaze (Nicholas Cage) is a stunt motorcyclist who gives up his soul to become the flame-headed vigilante Ghost Rider, and fights against the evil Blackheart (Wes Bentley). 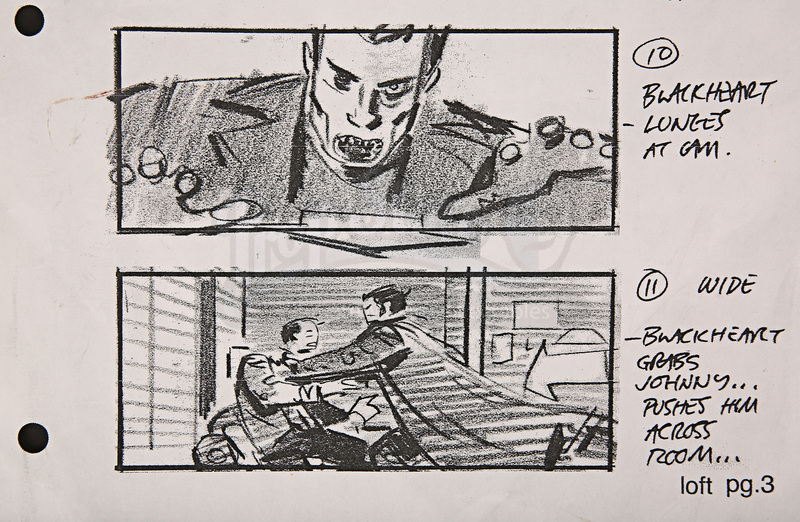 This storyboard and others like it were produced during pre-production of the film and would have been distributed to the different departments and crews working on it. 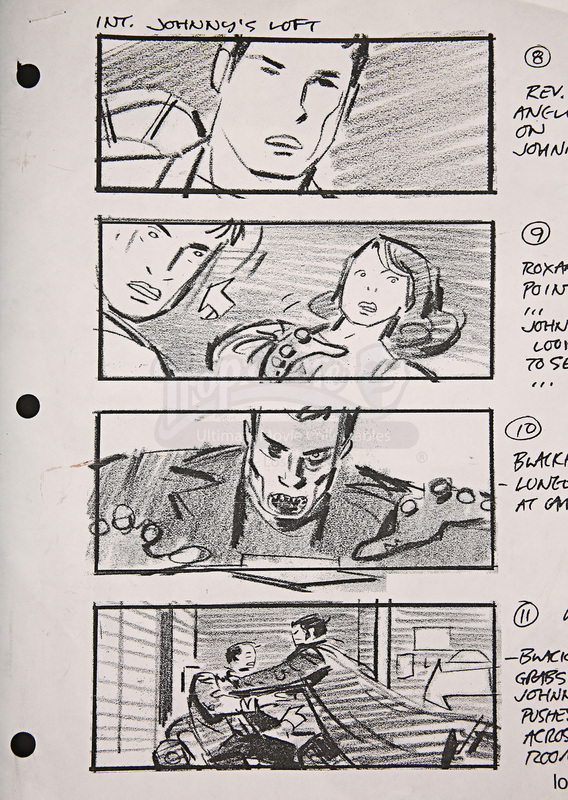 The storyboard features four illustrations depicting the scene when Johnny returns to his loft to find his friend Mack (Donal Logue) dead and Roxanne (Eva Mendes) injured. 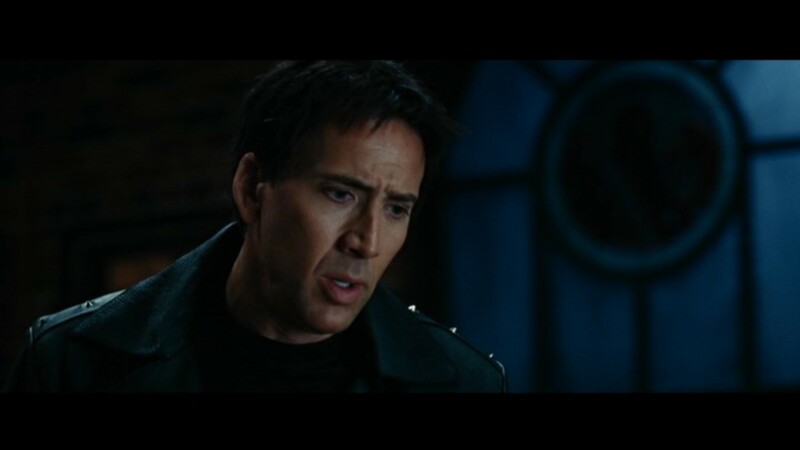 He is then attacked by Blackheart and the two fight. Each picture has a short written description detailing about what is happening in each shot. 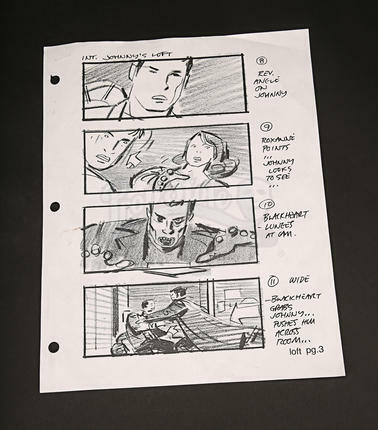 It has been printed onto white paper and hole-punched, which shows it was part of a larger set of storyboards and held in sequence. There is some minor wear from production use and storage, including some creasing and a minor tear around one of the holes. Despite this the piece remains in a good condition.